PRICE REDUCED!! OWNER WANTS TO SELL NOW! WONDERFUL HOME ON BEAUTIFUL LAKEFRONT. LARGE ROOMS.HOME NEEDS SOME TLC. LIVING ROOM AND DINING ROOM HAVE VAULTED CEILINGS. LOADS OF CLOSETS. DEN HAS CLOSET AS WELL. BREAKFAST AREA AND FLORIDA ROOM ARE SPACIOUS OVERLOOKING WATERFRONT. LARGE MASTER BEDROOM HAS 2 CLOSETS.ENJOY THE CORAL LAKES LIFESTYLE IN THE 72,000 SQUARE FOOT CLUBHOUSE. FULL SERVICE CAFE, MANY CLUBS AND ACTIVITIES. RESORT STYLE INDOOR AND OUTDOOR POOLS. FITNESS CENTER, 10 HAR-TRU TENNIS COURTS, ART DEPARTMENT, CARD ROOMS AND SOO MUCH MORE. EASY TO ENJOY. 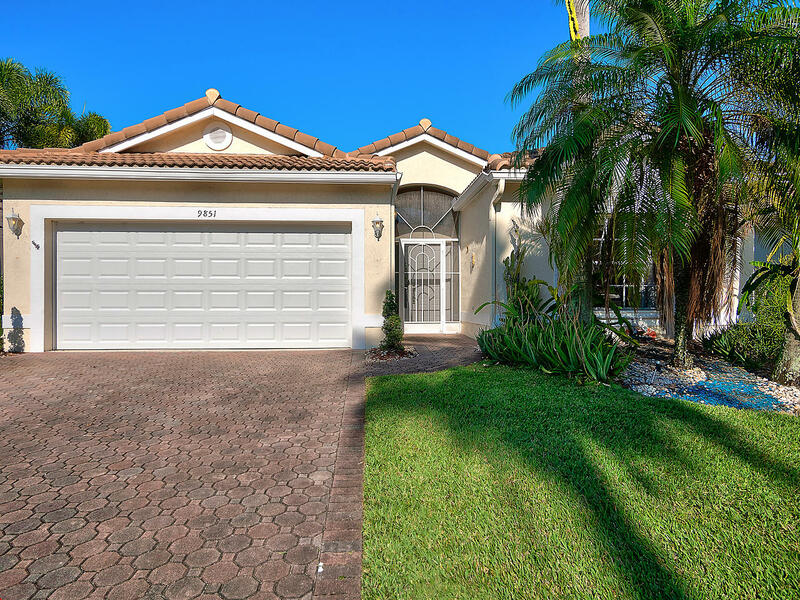 This home is located in CORAL LAKES III/REGENCY COVE NORTH 55+ Active Adult Community. As an Active Adult Community Specialist for over 16 years, I know these communities very well. I am a real estate agent who cares. I don't just want to sell you a house, I want to sell you the perfect home that will fit your needs as well as your lifestyle. I live and play in an active adult community and the lifestyle is wonderful. Country Club living without the country club fees. To All of my baby boomers not quite 55 years old who want to live in a 55 plus community, please call me for a list of Active Adult Communities that will allow you to live in some of these wonderful communities! Please call me with any questions that you may have at (561)-306-7430.